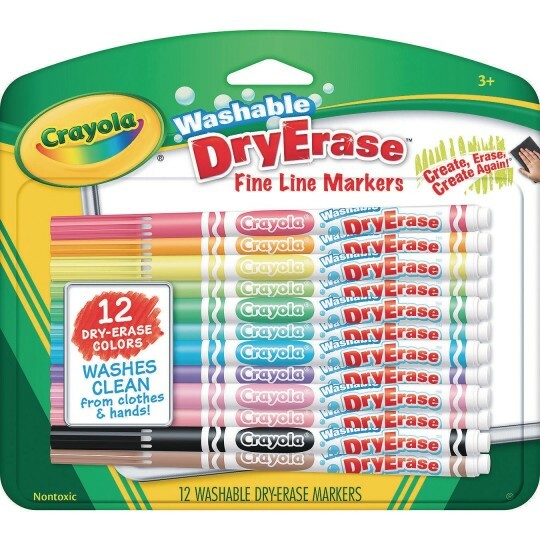 These brightly hued dry erase markers wash clean from hands and clothing and easily wipe off dry-erase surfaces. 12 assorted bold colors. Superior washability. Conical tips. Low odor ink. Non-toxic.